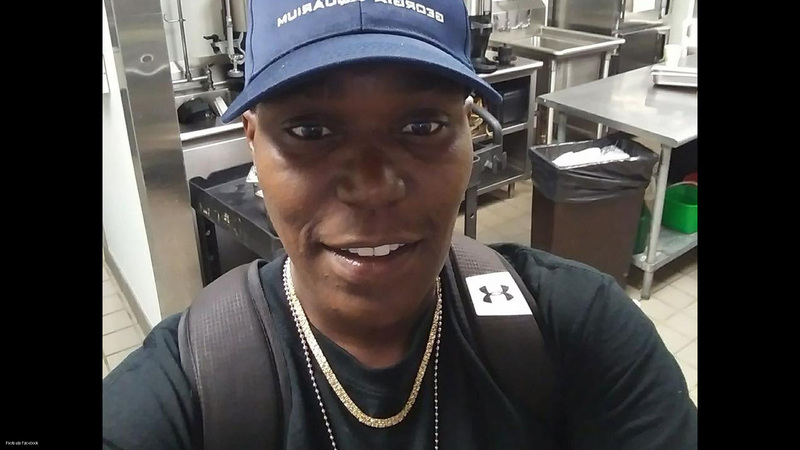 HRC is saddened to learn of the death of Nino Fortson, a transgender person fatally shot multiple times during an argument early Sunday in Atlanta. Fortson, 36, also went by names Nino Starr and Nino Blahnik, and was a gender-expansive individual. Atlanta police were nearby executing a traffic stop and rushed to the scene, but Forston later died at the hospital, said transgender advocate Monica Roberts. Police are still searching for a suspect, according to CBS46, which sadly misgendered Forston. Reports vary regarding Nino Fortson’s gender identity and pronouns. Accounts from close loved ones and Nino’s own social media suggest that Nino may have identified with both he/him and she/her pronouns. An active participant in Atlanta’s ballroom scene, Fortson was a member of the House of Blahnik, a national organization serving LGBTQ performers of color. Fortson was known for walking in the “Butch Realness” category. Community members and allies took to social media to mourn the loss of Fortson and used the hashtag #JusticeForNino to call out local news for misgendering reports. Fortson is the tenth known homicide of a transgender person this year. An unidentified transgender person was also found dead this weekend in Dallas. Few specific details are known about the circumstances of the victim’s death; the Dallas Police Department is investigating. Some media reports have begun referring to the death as a murder, and the Dallas transgender community is still reeling after the recent death of 26-year-old Karla Patricia Flores-Pavón. If the unidentified victim's death is officially confirmed as a homicide, they will be the eleventh known transgender person to be killed this year. Since 2013, HRC has tracked 115 incidents of fatal violence against transgender and non-binary people. Of these, 65 have been victims of gun violence. In 2017, 16 out of the 28 deaths were the result of gun violence. HRC Foundation and the Trans People of Color Coalition released a report documenting the senseless acts of violence that made 2017 the deadliest year on record for transgender people, particularly for trans women of color. To learn more about HRC’s transgender justice work, visit hrc.org/Transgender.